If you would like me to add another author or series to this list…. Please send me a comment by clicking under the faint gray line. Please add one of my favorites…Mrs. Polifax! I’m so frazzled searching and searching my librarie (s) in Coos county Oregon, for some of the Senior Sleuth mysteries. The one I did find was Lorene McCourtney and I love the Ivy Malone series, LOVE it. But now, I can’t find any others. Can anyone tell me if we might have an addition to this blog, just to list “most likely to find in library” cozies? I would so appreciate it, the help. 1) Find out if your library system has their books online. This will save you from having to go from one library to the next. 2) Find out if your library participates in a interlibrary loan system. Good Morning…as a retired librarian I can assure you that authors, very, very rarely donate a book. Each library has a book budget for the year and books are purchased using these funds! If you are an ebook reader or iPad user and your local library participates in one of the ebook programs, you would be able to check out books from the comfort of your favorite chair. Even if your local library does not participate in these programs, many people are able to obtain an “out of county” library card for a small sum per year from a neighboring county that does participate. I’m finding most of my books through the “freebies” that cozy-mysteries posts. Some I do find, but rarely, at the library. 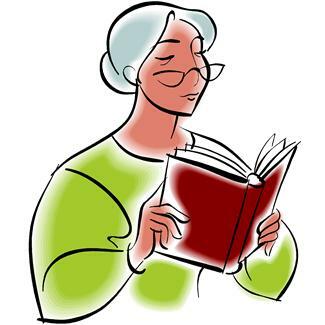 Dorothy Gilman is on the G through P page of the senior sleuth lists. You’re right in thinking that the list wouldn’t be complete without Mrs. Polifax! Pretty much long out of print, there’s a short series by Graham Landrum with a heroine who is in her 80’s. Of interest partly because it is set in upper East Tennessee, Bristol (which would account for the series called Borderville) or Johnson City. The Famous DAR Mystery is the first and maybe the best, it’s been a long time since I’ve read them. The Rotary Club Mystery is the second, and there are at least two more. Thanks for writing and mentioning Graham Landrum. I actually have Graham Landrums’ Club Mystery Series on the Senior Sleuths G – P page. I need help !!!!! I checked over your list and could not find what I was searching for. In our local library there was a series of mystery books about de-cluttering. There is a series on organization and one on interior design. They are all mysteries. Does anyone recall anything like this? AND, I LOVE this site !!!!!!! Thank you. Professional Organizer: Mary Jane Maffini writes the Charlotte Adams Mystery Series. Interior Decorator: Peg Marberg writes the Interior Design Mystery Series. I really enjoy mysteries featuring sleuths. I didn’t see Barbara Colley’s Charlotte LaRue series on your list. I am constantly running out of my favorite authors. Your list is a wonderful service! Thanks! I have Barbara Colley’s Charlotte LaRue series listed on the house keepers / maid services theme page. Also, I don’t know that 59 is considered “senior”… certainly, as I get closer to that age I think it sounds younger! But, I am going to go add her series to my senior sleuths theme page, also. I recently finished a series by Elizabeth Spann Craig. Myrtle Clover is a retired, octogenarian English teacher and her son, Red, is the Police Chief. She is constantly trying to solve murders before he does and he is constantly trying to keep her out of trouble. Whenever Red does something to upset Myrtle, she fills her yard full of garden gnomes from her shed so that Red, who lives across the street, can see them. Thanks, again, Tammy for telling us about Elizabeth Spann Craig. I think that if I were Red, I would (possibly!) put my house on the market! Don’t forget Livia Washburn’s retired teacher, Phyllis Newsom, in the Fresh-Baked mysteries. Valerie, and I did forget her! Thank you for reminding me about Livia J. Washburn’s Phyllis Newsom. I just added the Fresh Baked series to the Senior Sleuth list. Jillian Bradley is a senior sleuth along with her Yorkie sleuth-dog, Teddy in The Jillian Bradley Mystery Series. Thank you for adding my books to the list. Thank you for reminding me about your Jillian Bradley Mystery Series, Nancy Jill Thames. I added it (or should I say “her”?) to the Senior Sleuths Mystery theme. When I was young I read a series with 2 retired ladies living in an assisted living community near the ocean.They were both widows and one had been married to a Navy admiral. I would love to find out the author so I can read them again.Can you help me? Angela Benbow and Caledonia Wingate series by Corinne Holt Sawyer. She hasn’t published anything since 1997. These were great books! Carole, thank you so much for providing the answer to this question! Pat, I’m so glad Carole was able to figure out who you have been looking for! This series sounds SO good! I’ve found the whole series in my library and just ordered the first book. Can’t wait to read it!